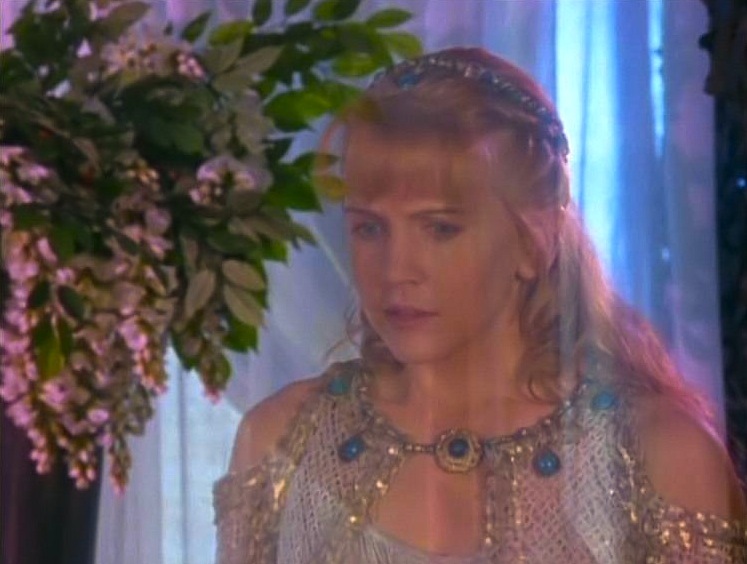 THE XENA SCROLLS: An Opinionated Episode Guide (103 & 104) | THAT'S ENTERTAINMENT! I featured this episode as #24 on my list of the 60 best episodes. Read my thoughts here. 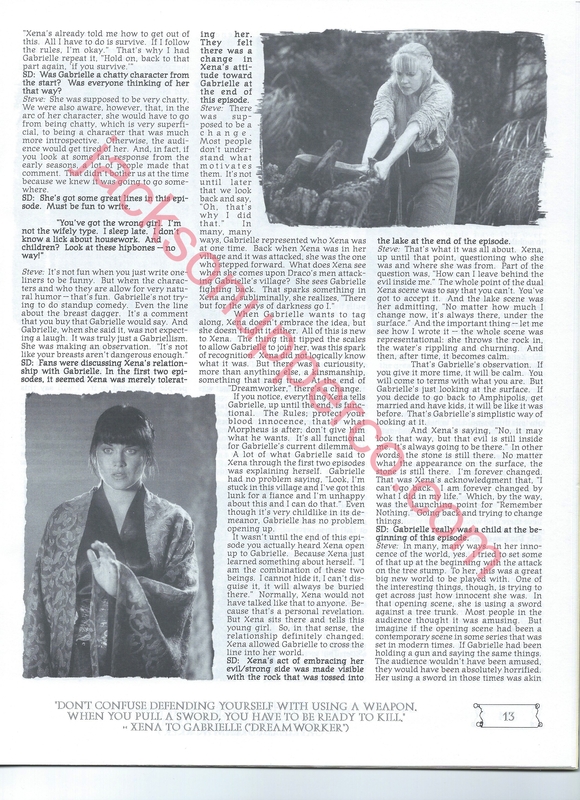 Here are scans of an interview that writer Steven L. Sears gave on “Dreamworker” for The Chakram Newsletter: #22. 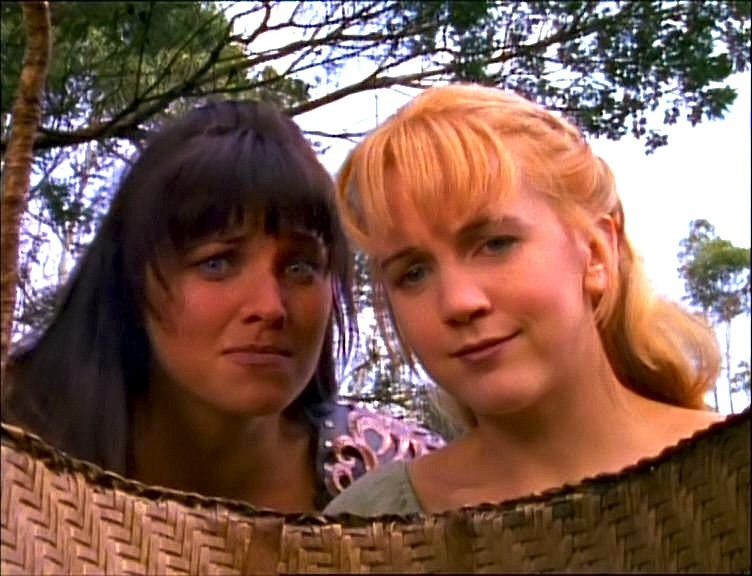 Xena and Gabrielle set out to find the parents of an abandoned baby, and discover that the infant has been marked for death due to a prophecy declaring him a future threat to a local king. 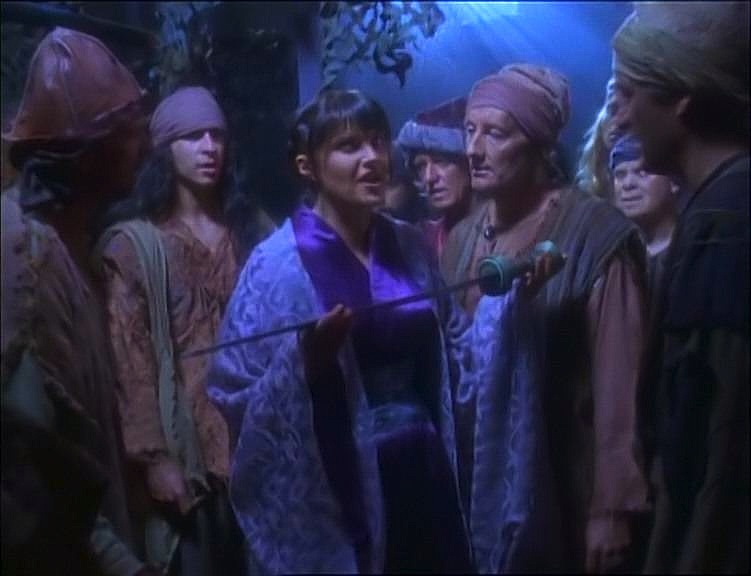 Perhaps the first episode of the series (save a couple of lines here and there) to knowingly inject humor into the action, “Cradle Of Hope” has never been one of my favorites. In addition to both Lawless and O’Connor’s continuing struggles with their characterization, the script — with its touches of humor — lacks both the hilarity to be an out-and-out comedy, and the gravitas to be a well-rendered dramatic installment. 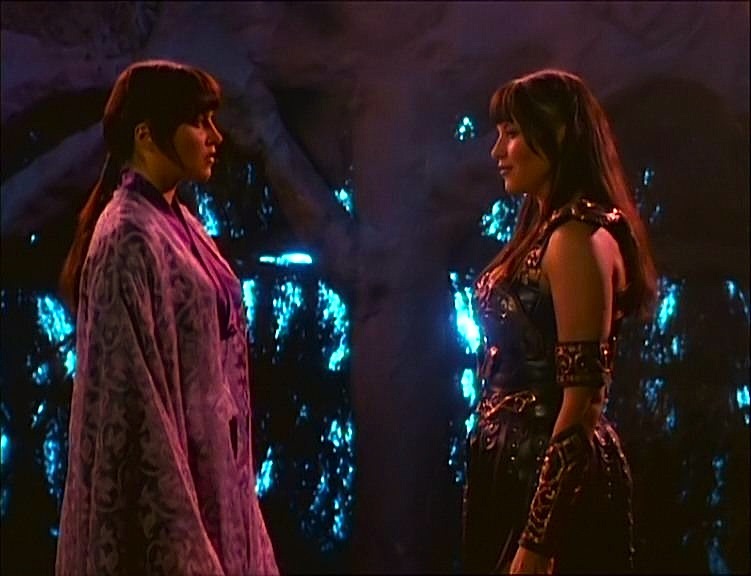 Now, while I am in agreement with the majority of fans who believe that an ideal Xena episode should have elements of both comedy and tragedy in a balanced combination, this episode simply isn’t strong enough on either front. 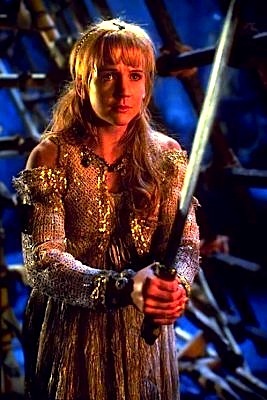 To be more acute: the premise of this episode has little to do with Xena and her past and Gabrielle and her journey, thus — like several of these very early installments — it could just have easily been a Hercules episode. But… we’re only on the fourth episode and we KNOW things are going to get better. 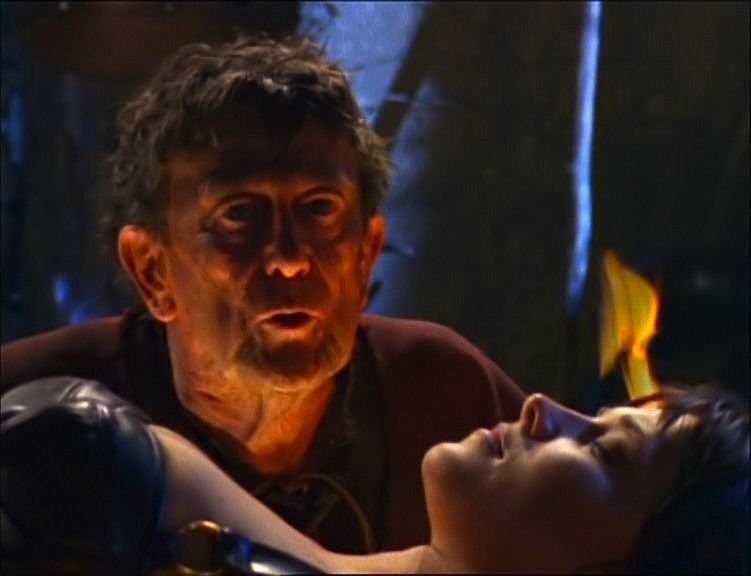 Mythology lovers may enjoy meeting Pandora’s granddaughter and her mythical box, while the infamous baby tossing fight sequence has long been a fan (and cast/crew) favorite. However, the best part about “Cradle Of Hope” is Michael Levine’s direction, which yields many beautiful and memorable images. 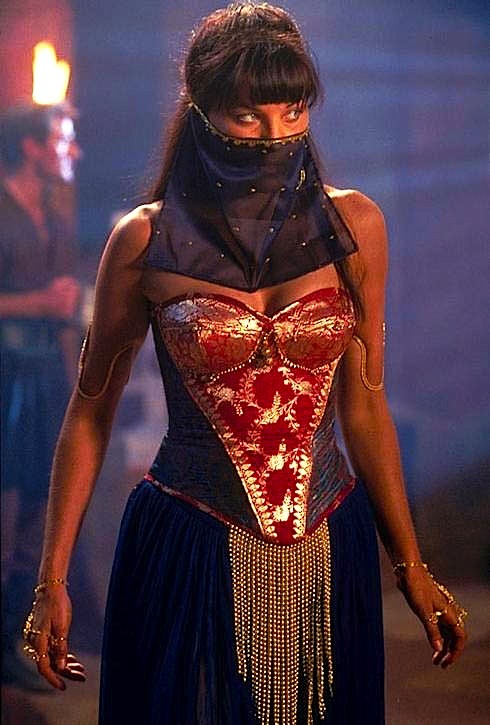 (Several of these ended up in the opening credits.) 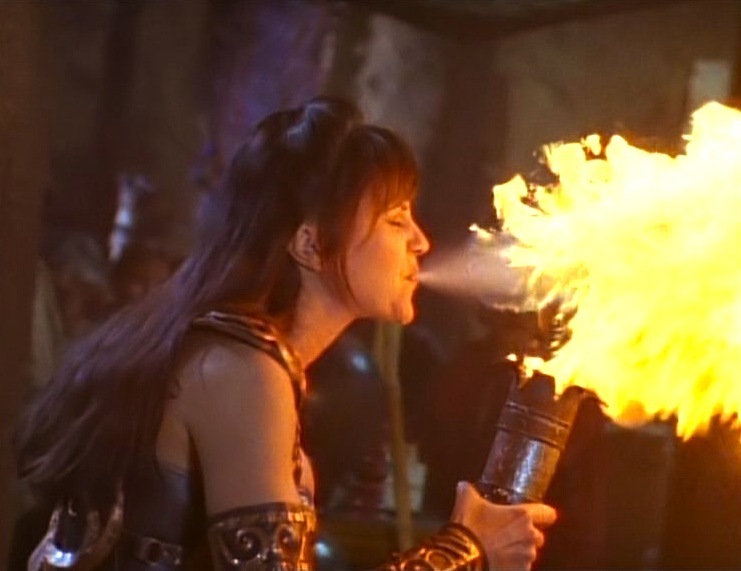 My pick for the most exhilarating moment: when Xena breathes fire for the first time — just awesome!